Last year, Panasonic revived the famous Technics 1200 line of turntables. We were stoked to see the beloved DJ-staple make a comeback, but the mouth-watering $4,000 price point put it out of contention for most DJs or vinyl snobs. That’s exactly why we were excited to see Panasonic unveil the updated Technics SL-1200GR (the “R” is the new designation), with a promised lower price. And then we got a glimpse at that price. When the Technics SL-1200GR goes on sale in June, it will retail for $2,300 CAD, so we’re going to assume it will cost about $2,000 USD. Cool budget model, guys. Granted, this price is certainly better, but it’s still ridiculously expensive. Historically, Technics 1200 decks cost closer to $1,000, so charging double instead of four times as much still feels a bit like highway robbery. 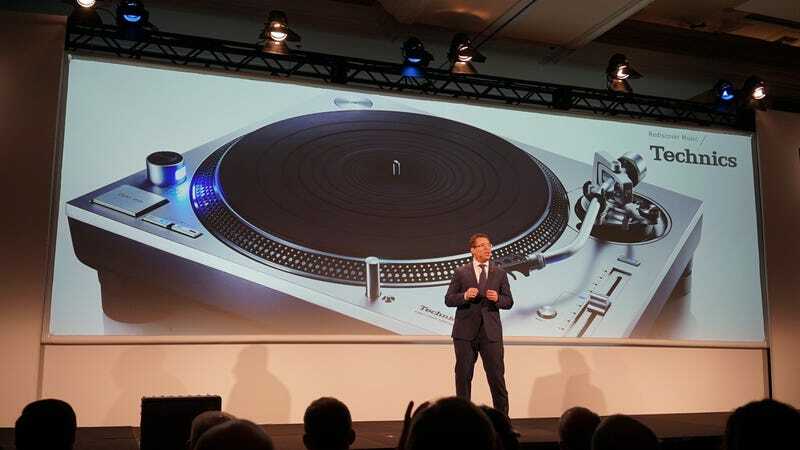 Moreover, after abandoning the DJ community that made its turntables famous, Panasonic seems to have no incentive of even trying to win them back. An article earlier this week in The New York Times explored how Panasonic was struggling to make amends with the community it abandoned in 2008. Something tells us a $2,000 turntable might not be the way to do it.